The Robinson Undergraduate Research Fund was established in 2010 to maintain and enhance undergraduate student research in the Department of Geological Sciences. Funds awarded are used for activities directly related to student research including, for example, thin sections, analytical costs, travel associated with field work, and travel to professional meetings to present research results. 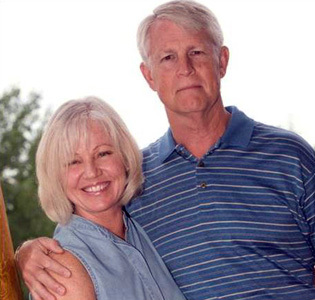 John and Diane Robinson live in Colorado and have followed the activities of the department for many years. John graduated from SDSU in 1973 (BSc) and 1975 (MSc). His senior thesis was on landslide deposits in the Split Canyon area of the Anza Borrego desert, supervised by Richard Threet. His Master’s Thesis was a geological mapping project in the Vizcaino Desert of Baja California, supervised by Gordon Gastil. He earned a PhD in Geology at Colorado School of Mines. John has had a long and successful career in the petroleum industry and formed his own consulting company, North Ranch Resources, in 2003. John is past president of the RMS-AAPG, RMS-SEPM and RMAG. He is a two-time recipient of the AAPG Wallace Pratt Award for the best paper published in the AAPG Bulletin and received the CSPG Medal of Merit for the best geoscience publication of 2004. He has co-edited five books and authored 57 scientific papers. The Robinsons have provided student support to Colorado School of Mines and have contributed to the scholarship programs of the RMAG Foundation and the SEPM Foundation.